Over the coming years, the digitization of supply chains will likely have a significant effect on companies’ prospects. Research conducted as part of the McKinsey Digital Global Survey in 2016 shows that the end-to-end digitization of the supply chain will contributes more than 2/3 of projected annual revenue growth, and more than 75% of annual EBIT growth. Yet despite the supply chain’s potential impact on revenue and profit growth, survey respondents say that their companies are investing the least in this dimension. Only 2%, in fact, report that supply chains are the focus of their forward-looking digital strategies. Today’s capability constraints are part of the reason progress is slow. 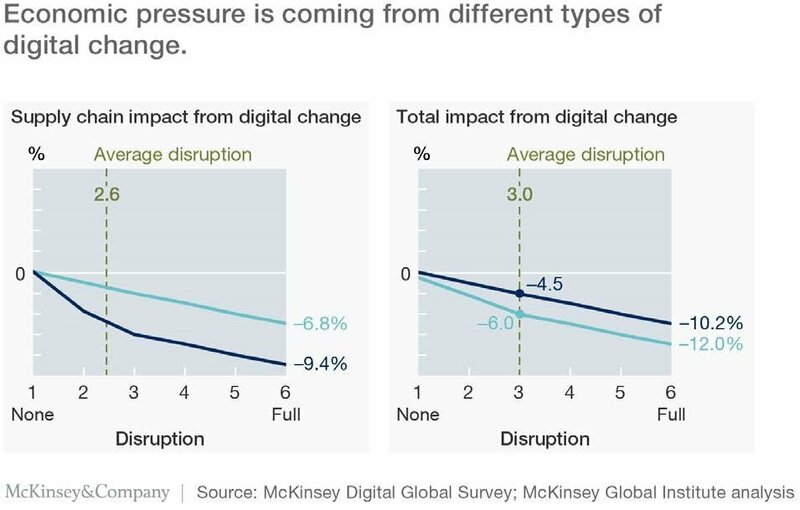 A McKinsey Global Survey of more than 900 C-level executives found that talent shortages top the list of challenges companies face in meeting their strategic digital aspirations. To drive digital supply-chain transformations, supply-chain leadership must combine traditional functional and leadership capabilities with new technical skills that span data, algorithms, and technology. But they need to understand more than just what these innovations are: they must also understand whether—and how—they create real value for the businesses they are supposed to support. McKinsey’s research shows that few organizations have these skills. Accordingly, just adding new digital and analytics talent won’t be enough to achieve a successful transformation. Supply-chain knowledge is transferable across industries. But within a single industry, the range of skill levels is generally large, indicating that attracting and developing top talent are factors that an organization can influence. Organizations can be more strategic in their recruiting by looking past sector constraints for fast learners with strong supply chain accomplishments, regardless of industry. Next, they can increase supply chain experts’ effectiveness by expanding their capabilities, particularly in supporting actual business needs. At the organizational level, one option is to build a central supply chain unit with an end-to-end mind-set and top skills in service level attainment and delivery management. Another is to focus more narrowly on developing logistics expertise among warehouse and transportation-management staff, so they become the operational efficiency engine. Finally, better performance management across the board—rewarding the top performers and taking corrective action when performance drops below expectations—helps turn talent into a supply chain organization’s central strength. Supply chain management may be a global skill, but worldwide talent pools have different skill profiles. The assessment data show the highest concentration of supply chain experts is in Asia, followed by Western Europe and North America. Career pathways also matter. 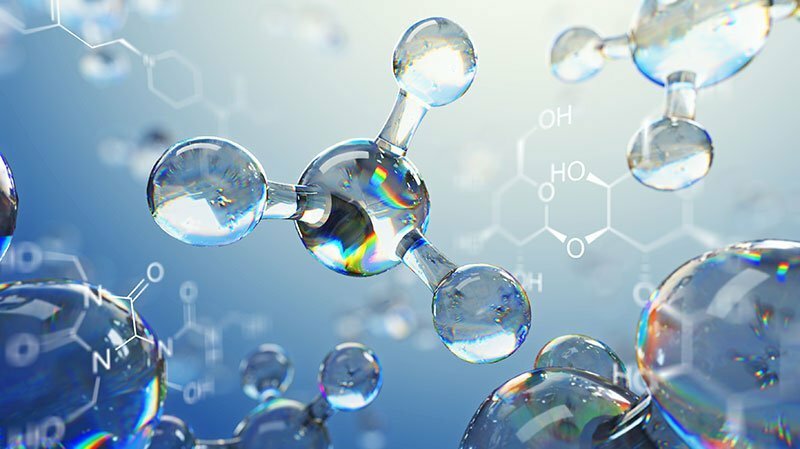 A consequence of lower organizational capabilities in supply chain is that in many organizations, top management comes from other functions: R&D, production, sales and marketing. The pattern becomes self-reinforcing, as high performers move into areas where they think they can better fulfil their potential, and leaders without supply-chain experience stop investing in developing the supply-chain organization’s capabilities. Supply chain is left as a planning and execution function. Regardless of the talent market, organizations that invest in developing their people while launching a transformational change program see a higher success rate than those that do not—by a factor of up to fourfold. Supply chain performance also correlates strongly to staff capabilities; in general, good capability builders generate twice as much EBITDA as other organizations. Where are the end-to-end experts? 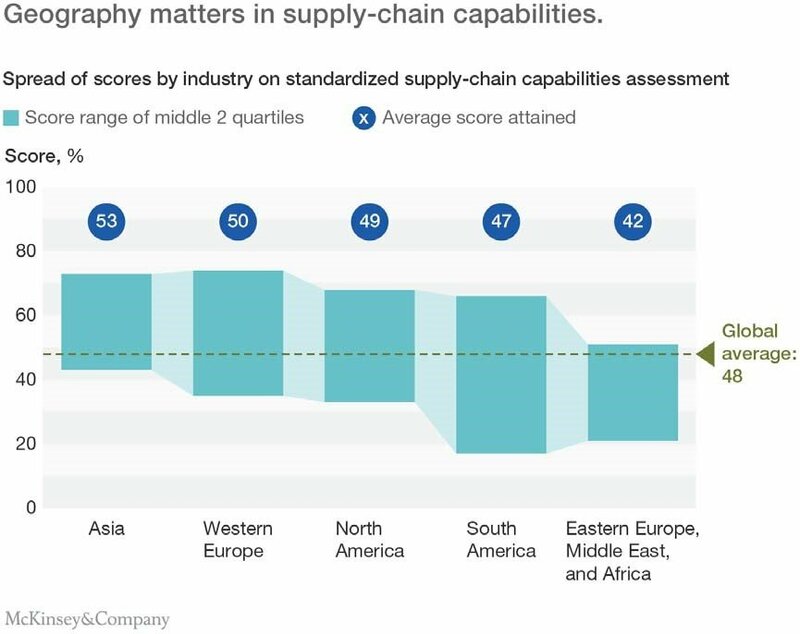 In the average organization, McKinsey finds that about 60% of supply chain professionals have an expertise spike in just one area of the supply chain. End-to-end experts—whose well-rounded mastery is most likely to meet tomorrow’s requirements—are thin on the ground, accounting for only about 5% of all supply chain roles, typically in sub-functions such as supply chain excellence or analytics. The remaining staff are not meeting the bar in any area of supply-chain management. In the short term, automation and digitization will create more roles for data scientists, analytics engineers, and IT and big-data specialists, who bring new knowledge to the supply chain organization. To produce lasting results, this new talent will need training in supply chain management, or support from “translators” who blend functional and digital knowledge. Physical flow and logistics will increasingly rely on in-house logistics experts whose grasp of warehouse-design principles and automation technology gives them deep insights on practical applications. Strategists taking advantage of platforms for data sharing, analysis, collaboration, and logistics-services delivery will push the organization’s thinking and aspirations, creating new revenue streams through the supply chain. 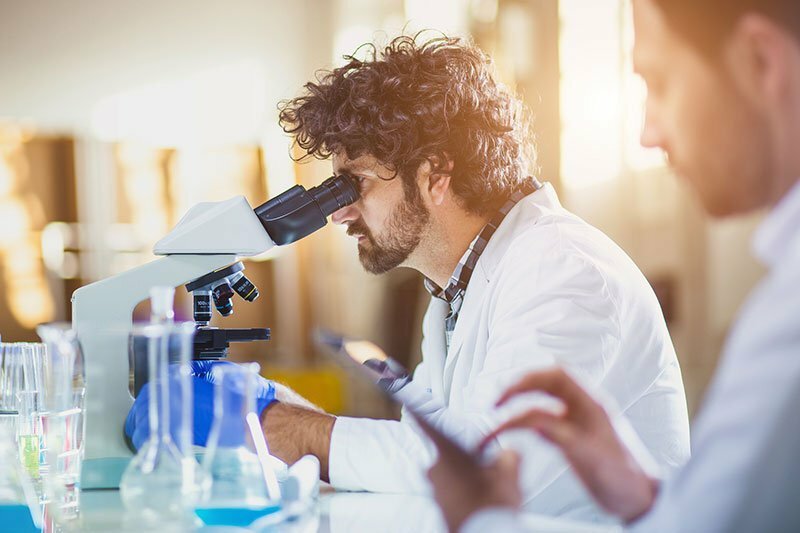 Overall, better cross-functional communication and leadership skills will strengthen collaboration with both the R&D and sales and marketing functions for integrated execution from idea to market. In preparing for digital transformation, the crucial task is to prepare people for the single most valuable human role: managing the supply chain from end to end across internal boundaries. Diagnose. To understand its starting point—the gaps to fill and strengths to leverage—the enterprise must assess individual and collective skill levels against business and supply-chain objectives as well as external benchmarks. Design. Next comes the design of a capability-building curriculum and the planning of learning journeys. Many of the core Supply Chain 4.0 concepts—big and open data, the Internet of Things, intelligent automation, virtual and augmented reality—remain mysterious to today’s supply-chain professionals. But experimenting with these new technologies can expand people’s horizons, increase learning retention, and inspire innovation. Implement and sustain. Learning does not happen in isolation; at the same time, a capability-building program must precisely identify critical skills (in some situations, down to the individual level) and enhance them in a targeted way. To balance these two pressures, a delivery mechanism that scales is essential. For too long, capability building has been a noble aspiration—but one executed with scant connection to business outcomes and little proof of impact. The cross-functional impact of supply-chain management raises the knowledge bar still higher. With looming challenges from digital transformation, that organizations that build new strengths both in technical skill and in end-to-end perspective will be best equipped to win in the new competitive landscape.